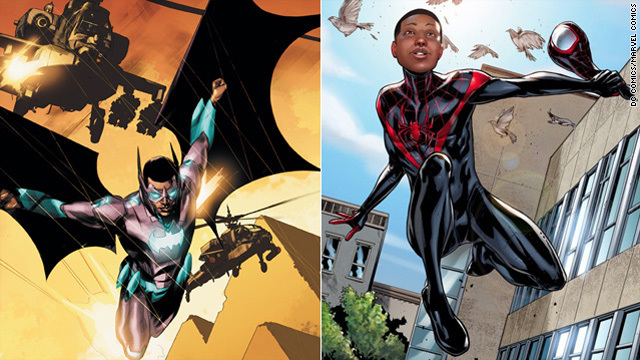 Are comics becoming more diverse? One night in early August, while watching the "Colbert Report" with the sound off, comic book writer Brian Michael Bendis had what he calls a "surreal moment." "I'm watching Colbert, and there goes our book up on the screen! I truly did not expect that." "The Daily Show with Jon Stewart" and "Conan" also joked about his comic book. The reason that Bendis' "Ultimate Spider-Man" (a title he helped originate in 2000, since relaunched as "Ultimate Comics Spider-Man") caught their attention is the same reason it caught the attention of much of the media one month ago. SPOILER WARNING: This article contains spoilers for this week's episode of "The Guild." So how does one follow last week's episode of the popular web series, "The Guild," which featured a cameo by nerd icon (and genuine nerd himself), "Castle" star Nathan Fillion? By bringing in an iconic author, of course. Neil Gaiman, best known to fans for writing the comic book series "Sandman," as well as the novels "Stardust" and "Coraline" (both of which were made into feature films) is guest starring on this week's episode. It's pretty rare for Gaiman to make a cameo, and series creator/star (and Gaiman fan) Felicia Day told CNN how this came about. "It was a complete coincidence that we were able to get him while he was in Los Angeles - fate had our schedules synch," she said. "What surprised me is that he's a great actor! In fact, he added a bunch of dialogue that we kept in the scene, and his reactions were so great we used every second of his performance on film." Also guest starring in the episode, available on MSN, XBox Live and Bing this week, are Erin Gray, of "Buck Rogers in the 25th Century" and Richard Hatch from the original "Battlestar: Galactica." Guest stars or not, fans download episodes of "The Guild" (to the tune of 100 million views so far) because they find it to be an accurate, and humorous take on the gaming community. "When I sat down to write 'The Guild,' I tried to create characters that represented the people I played with in my experiences gaming online," said Day. "To me, the cliche of the 'dude in the basement' isn't representative of what real gaming is. Mothers game, young girls game, professional men game, it's a hobby that covers the gamut of age, race and gender. I am proud to be able to help expand the perception of what a gamer is with the show, at the same time giving those unrepresented gamers a fictional character to laugh at because they recognize them from their own experiences." 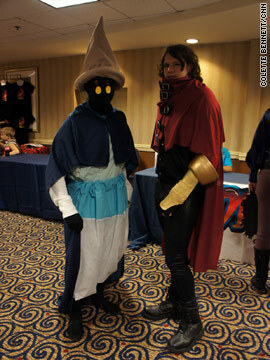 Dragon*Con is about sci-fi and fantasy, not predominantly about anime and gaming. But the cosplayers present at the annual Labor Day con were easy to recognize. From Sesshomaru to Executive Koala, cosplayers drew crowds of picture-snappers. To be clear, by "cosplayer" we mean people who dress up like characters from Japanese manga, anime and games. Many cosplayers make this distinction between cosplay and costuming - which they define as dressing up as characters from American comic books, movies and literature. 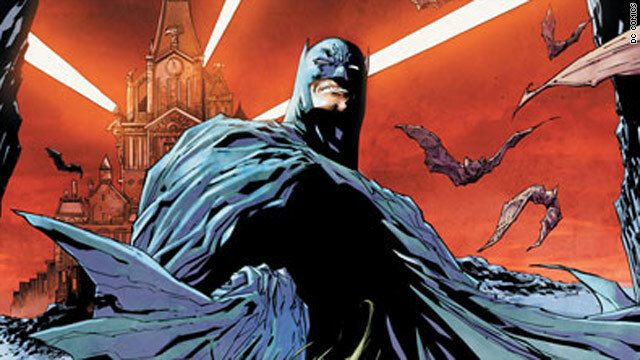 Detective Comics #1 hit the stores today. It's written by Tony S. Daniel with art by Daniel and Ryan Winn. Cover also by Daniel. Wednesday is the best day of the week because that’s when the new books arrive in stores. Here are some of the comics scheduled to hit the shelves on September 07, 2011. Your local retailer will probably have these and others, so make sure to check with them for more details. Again this week, two of the releases I am most looking forward to are from DC (DC, like CNN, is owned by parent company TimeWarner). With the release of Detective Comics #1 and Action Comics #1 , DC has updated two of their longest running titles. This also relaunches the premiere books for two of the biggest names in the DCU.